The area of Employment Law is both highly legislated and highly litigated in Ireland. The obligations placed on employers by the relevant legislation is highly onerous with the intention of providing all employees in Ireland with a safe place of work, safe systems of work and a strong legal standing to protect their rights as employees. 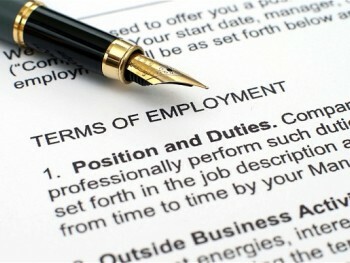 If employers are not compliant with the relevant legislation they may be brought before The Rights Commissioner, The Labour Court, The Employment Appeals Commission or even the Circuit Court and an award of compensation made against them in favour of their employee as a result of their failure to comply with their obligations. Employers:- It is rarely ever an employer’s intention to fail in their duties to an employee, however the sheer volume of legislation governing the obligations to employees can easily create a situation where employers find themselves in breach without ever having knowledge of the obligation. Unfortunately for employers many of the offences under Employment Law legislation are “Strict Liability” in nature, meaning that no intention to avoid is required and the fact of avoidance in itself is enough to be guilty of the offence. In short the main obligations of an employer extend to having a detailed contract of employment, including terms and conditions for each employee, along with a suite of policies and procedures providing for the various situations arising in the normal course of employment. Martin J. Burke Solicitors offer custom built Employment Law Packages for employers which can include a simple review of existing contracts and policies, an overhaul of existing arrangements or an all inclusive package providing all the documents required to comply with Employment Law legislation.